Yemen's Houthi group welcomed on Friday a call by the United Nations for an independent investigation into Saudi-led coalition air strikes that killed dozens of people a day earlier, including children travelling on a bus. "We welcome the call of the secretary general (of the United Nations) and we are ready to cooperate," the head of the Houthis' supreme revolutionary committee, Mohammed Ali al-Houthi, said in a tweet. A Yemeni health official and the International Committee of the Red Cross (ICRC) said on Thursday than an air strike had hit the bus carrying children as it drove through a market in northern Saada province. U.N. Secretary-General António Guterres on Thursday condemned the air strike and called for an "independent and prompt investigation," his spokesman said. 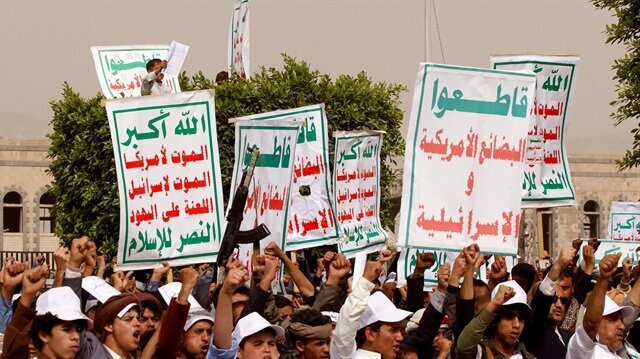 The Western-backed alliance fighting the Iranian-aligned Houthis said the air strikes had targeted missile launchers used to attack the southern Saudi city of Jizan on Wednesday, killing a Yemeni civilian there. It accused the Houthis of using children as human shields and said the strikes were carried out in accordance with international humanitarian law. Yemen, where a Saudi-led coalition has been battling the Iranian-aligned Houthi movement in a three-year-old war, lies on one of the world’s most important trade routes for oil tankers, the Bab al-Mandeb strait.